It’s Corporate Social Review time again. Crib Notes is my page, the place where I think out loud and don’t have to worry too much about being on message. I was all geared up to write about Kit Kat this month, going into some comic detail about my recent tiff with that global brand and seeking some kind of insight in the aftermath. But then the world changed on Thursday night. For the third time in my life I was presented with a ‘where were you’ moment. I was glued to the over-night coverage on CNN when the first bombs dropped on Bagdad at the start of the first gulf war, war in real time. I was recceing for a corporate video at the War Museum in Jo’burg when the planes hit the World Trade Centre. I watched the towers fall and the stunning aftermath in an office full of stunned co-workers and friends. On Thursday night I was swopping casual insults and sub-textual affection with my best friend on Facebook when he suddenly broke in with the words Nelson’s gone. Gone. At last. Inevitable. Unthinkable. His last act in life, unifying us in our grief at his death. I spent the next several hours reading the newspapers, watching the twenty four hour news channels and maintaining some sense of contact with my circle of friend through social media. Somehow a simple like to every status update and outpouring of love, grief, celebration and reflection didn’t seem enough. I’ve no idea how many times I typed ‘amen’. I’m sure I could have kept a cathedral in steady supply. It doesn’t seem like much, but it gave me a way of somehow briefly connecting with that vast network of people across the globe who were all looking for some way to reach out in this ultimate unifying moment. And now I’m once again sitting in front of multiple screens, watching tears pour like rain into the FNB stadium as the good and the great pour into their comfy seats and ordinary people gather to share and celebrate the last steps in Madiba’s long walk. Of course, by the time you read this he’ll be safe at home and hundreds of thousands, perhaps millions of words will have been written about his passing, words written by people with far more to say and far more talent with which to say it than I. But can there ever be enough words written? Will the need to remember ever diminish? I think not. And so, having just stood for the National Anthem, and with the echoing sounds of the initial addresses filling the stadium, I want to try and find a message of my own, some insight that is uniquely mine and might, just might, offer insight to you. 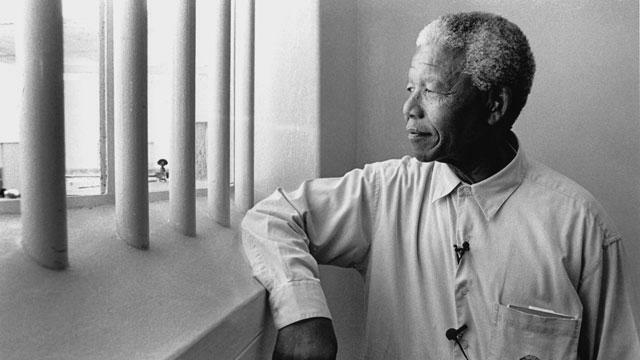 Whenever I think about Nelson Rolihlahla Mandela I cannot help but think of those 27 years he spent as prisoner 46664. 27 years. Think about that, but not as a number, think about it as an actual period of time, a portion of a life. 27 years locked in a brutal place with brutal intent. If, as Stalin said, one life is a tragedy and 100 000 a statistic, then by that same measure, one day in that jail cell was a tragedy but over 9800 was an unforgivable sin. And yet he did forgive. Instead of walking out those gates and demanding his 27 years back, demanding the impossible then burning the world down when inevitably his demands could not be met, Nelson walked out and demanded, yes demanded, that we try to live up to him. He demanded that we rise to the challenge of matching his generosity of spirit and his great humanity with generosity and humanity of our own. And in this we are doomed to fall short. Why? Because he fell short, in a million ways, every day. Prisoner 46664 knew he was not perfect, he knew anger, he knew rage, he knew heartache and despair, he knew the pain of loss and the fury of failure. I know this because he was a human being, a man just like any other. And to be human is to fail. To be human is to know human frailty and the great imperfection that is a life lived. But in life, and now in death, Madiba showed us that failure is not falling down, failure is staying down. And he never stopped getting up, he never stopped striving to be a better man, to take whatever opportunities life presented him and bend them towards making the world a better place. And that’s what the world is because Nelson Mandela lived in it. It’s a better place because he was here and the very least we can do is try to keep making it better. We can’t give him those 27 years back, but we can try to make the price he paid worth the paying. Go well my President. God speed. This entry was posted in Crib Notes and tagged 46664, Crib Notes, Madiba, Memorial, Nelson Mandela, Nelson Rolihlahla Mandela. Bookmark the permalink.